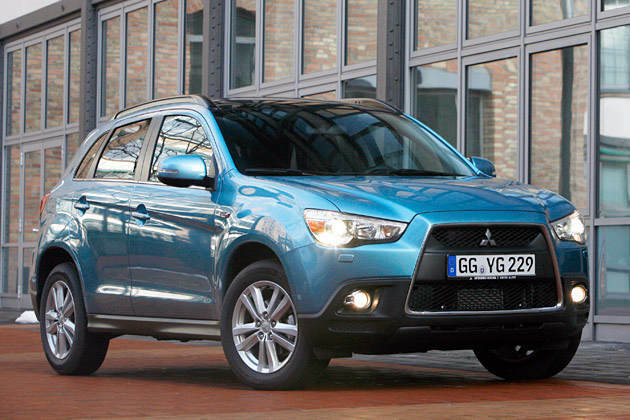 Mitsubishi’s popular ASX city-friendly SUV range will be upgraded in May with improvements to overall drive performance and NVH, along with new features and cosmetic updates. The revised 15MY ASX is quieter, smoother and more refined, and offers better on-road performance thanks to improved ride comfort, handling stability and sharper, more responsive steering feel. ASX gains Daytime Running Lamps (DRLs), new-design 17-inch alloy wheels, black roof rails, Emergency Stop Signal (ESS), privacy glass, chrome exterior and interior highlights as standard equipment on all models, and a new Lightning Blue paint joins the range of ASX exterior colour options. Meanwhile, 2.0-litre petrol ASX models with CVT automatic transmission benefit from performance upgrades resulting in more responsive acceleration feel from a standing start and at mid-range speeds, and fuel economy improvements of around 4 per cent, giving ASX CVT models an official rating of 7.4-litres/100km. The new 15MY ASX range goes on sale around Australia from today.